Toronto, ON - October 2, 2018 - The future of reading takes shape starting today, as Rakuten Kobo announces Kobo Forma—the largest and lightest 8” display eReader, offering the utmost in reading comfort. This premium device was built for ravenous readers who have come to expect the choice of landscape or portrait orientation, waterproof reliability, an innovative lightweight design, and the perfect alternative to bulky print books. Kobo’s team of designers and developers set out to create a device with the most ergonomic design, enabling hours of comfortable reading. 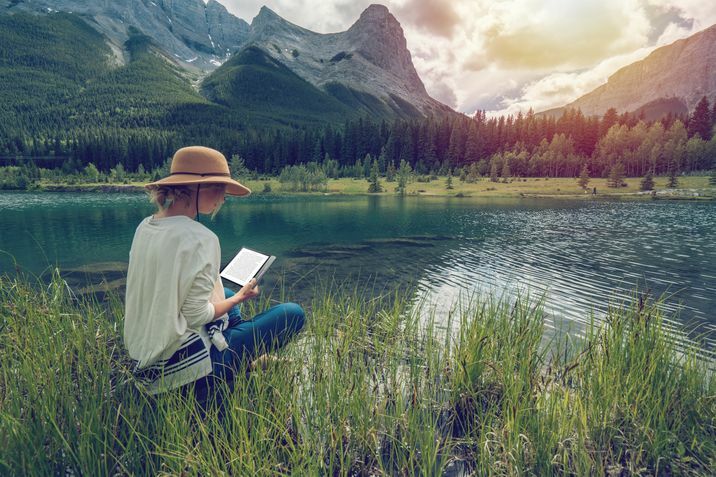 Kobo Forma’s lightweight format boasts new page-turn buttons for those who like a tactile way to move through their story, with the ability to read in landscape or portrait mode on its durable 8” HD Carta E Ink screen. ComfortLight PRO offers the best light at any time of day, and waterproofing means you can soak up a story anywhere, whether it’s in bed, at the beach beach or in the bath. 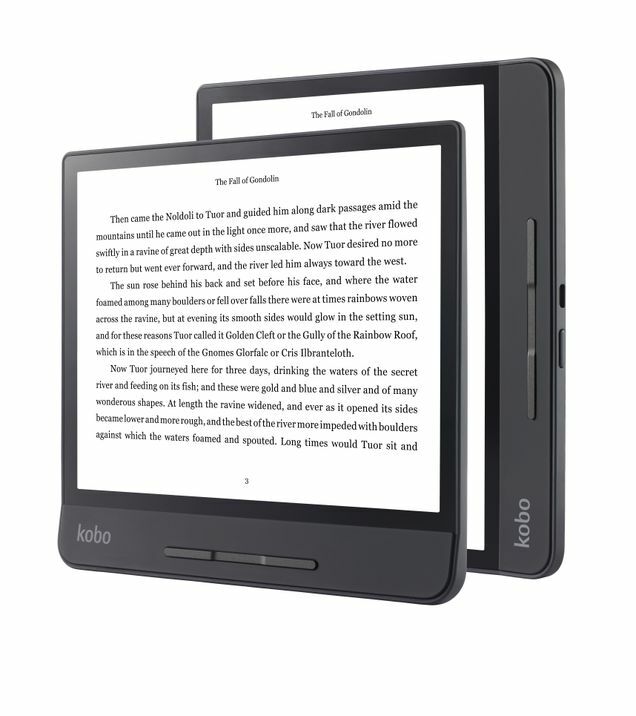 What’s more, Kobo Forma is the most durable eReader available with the introduction of Mobius® technology, which uses a flexible plastic layer within its display. This allows for an ultra-thin and light-weight device that provides a high degree of durability to withstand the pressures of daily use. Through impact testing, Kobo Forma has been shown to withstand drops of more than 2 meters, as well as more bends, twists, full handbags, and overloaded backpacks than any previous eReader. With a new and ergonomic curved design that is lightweight enough to hold for hours at any angle, Kobo Forma is our most comfortable eReader yet. Try Kobo Forma’s new page-turn buttons or touch the screen, it’s up to you. Read in portrait or landscape mode, or set the text to change orientation automatically depending how you hold your eReader. And with a storage capacity of 8GB, readers can store up to 6,000 eBooks. Kobo Forma immerses you in your reading more than ever before, with cutting-edge Mobius® display technology that allows the sturdy 8” HD Carta E Ink screen to feel lighter than air—while still providing a superior, print-quality reading experience. At 197g, it is almost 15% lighter than Kobo Aura ONE. No need to worry about waterlogged pages—Kobo Forma is fully waterproof from the inside out with HZO Protection™ and safe for the beach, the pool, or a soak in the tub. * Simply wipe it dry with a cloth to get back to your reading. Kobo Forma’s adjustable front-light is easy on your eyes. It gradually reduces the blue-light exposure that keeps you alert throughout the day, so you can read before bed, then get right to sleep. Set the brightness by swiping up or down on your screen. Borrow books without having to leave home by connecting to your local public library right from Kobo Forma with built-in OverDrive. * All you need is an active library card. Search for the eBooks you want and choose to borrow or buy — it’s that simple. Easily switch between devices and extend your reading experience with the free Kobo App for your smartphone or tablet—perfect for those moments when you’d like to read, but don’t have your eReader handy. We’ll always remember where you left off, so you’ll never lose your place. The versatile Kobo Forma SleepCover allows for both hand-held and hands-free reading. Flip the front cover into a stand, and enjoy reading in either portrait or landscape mode. Kobo Forma automatically wakes up when you open the cover, and goes back to sleep when you close it. Available in Black and Plum.